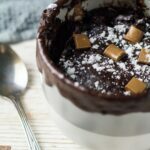 Microwave Chocolate Mug Cake – A deliciously moist and fluffy chocolate cake that is made in the microwave. It’s sweet, loaded with flavour, and is cooked in under 2 minutes! 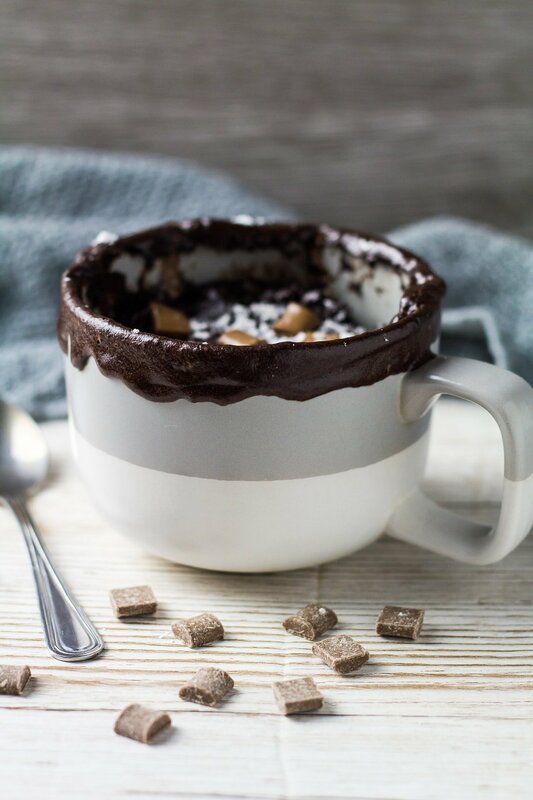 Mug cakes. I thought they were pretty ‘meh’ at first. 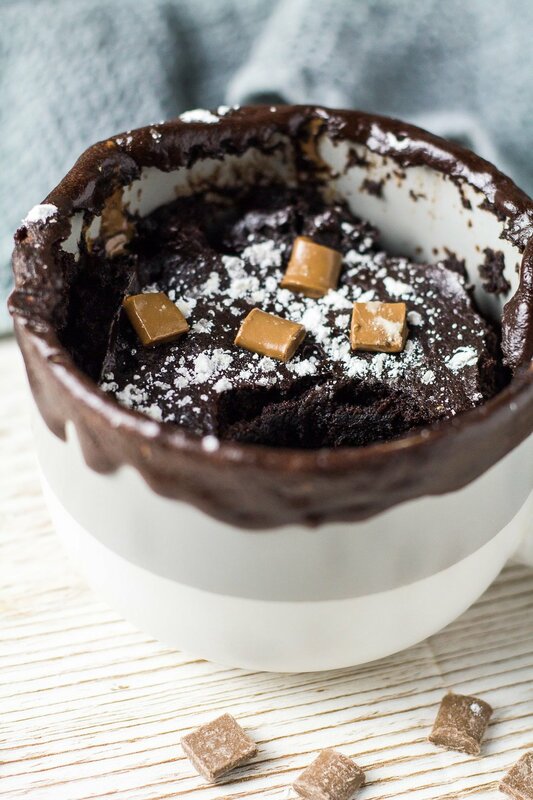 That’s until I started recipe testing them, and finally made this incredibly delicious chocolate mug cake. 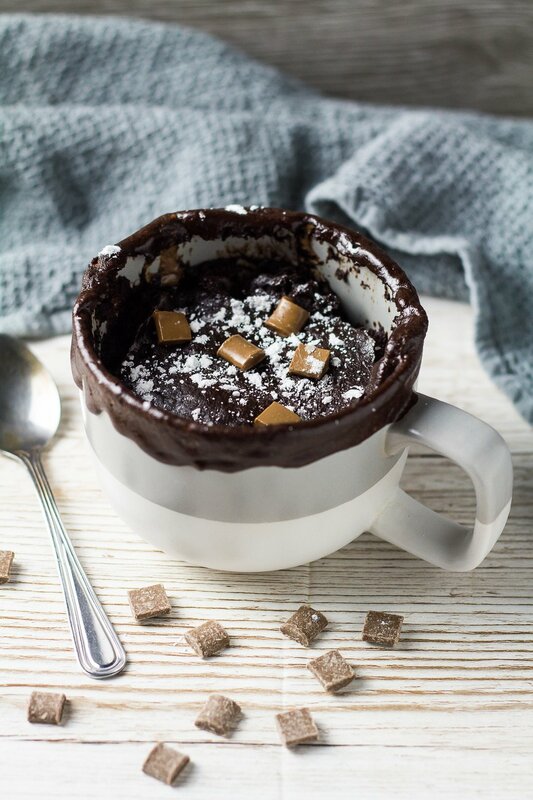 This is the BEST Microwave Chocolate Mug Cake I’ve ever tried. 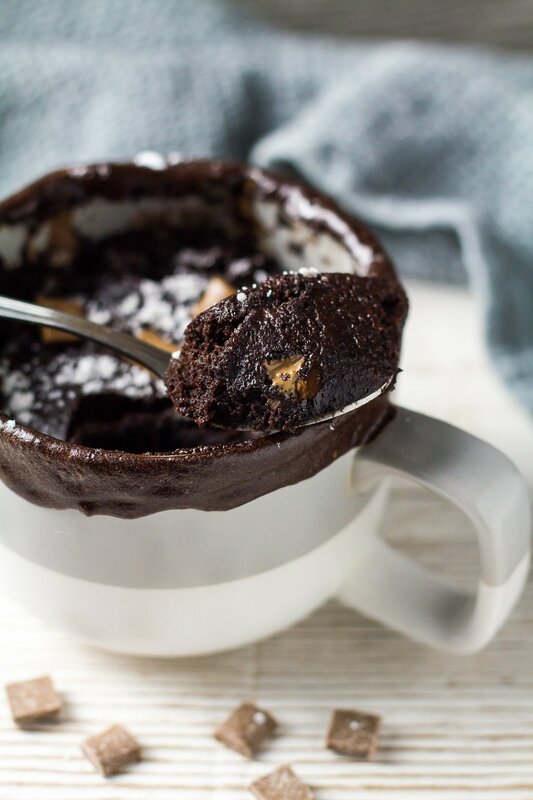 This chocolate mug cake is moist and fluffy, sweet (not at all bland), perfectly spiced with a hint of cinnamon, and studded with melting chocolate chips. 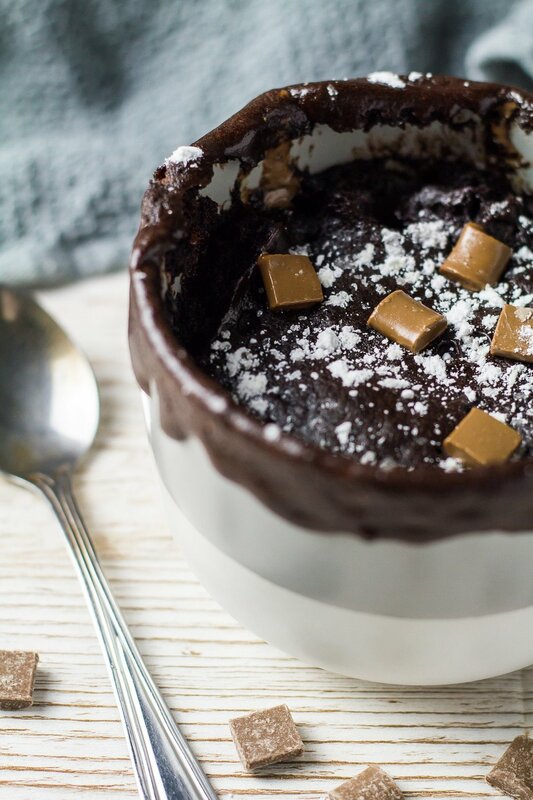 It actually tastes like a rich and fudgy chocolate cake! This cake is perfect for when I want a quick chocolate fix, but don’t fancy baking a whole cake or a batch of brownies. Microwave in less than 2 minutes – done! Ground cinnamon: Optional, but too good not to try! Chocolate chips: I used milk chocolate chunks here. 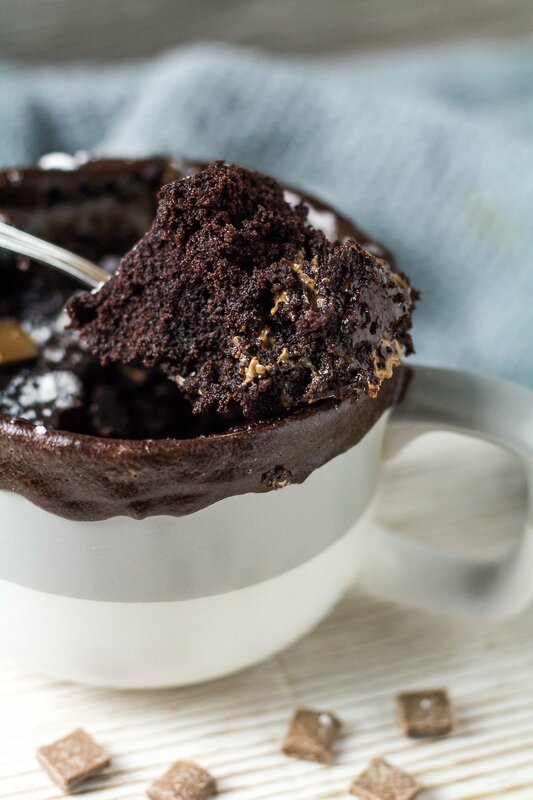 To make this Chocolate Mug Cake, start by grabbing a large microwave-safe mug. Add the flour, brown sugar, cocoa powder, baking soda, salt, and cinnamon and stir together. Next, add the milk, melted butter, and vanilla. Mix together until completely smooth and combined. Stir in the chocolate chips. Place the mug onto a microwave-safe plate, and microwave on high power until the cake is cooked in the middle. For my 800W microwave, this took 1 minute 40 seconds. See my Recipe Notes below for more information on cook times. If you want a more molten effect (YES!! ), simply cook your cake for 15 – 20 seconds less than the original time. Carefully remove the mug from the microwave and enjoy warm. 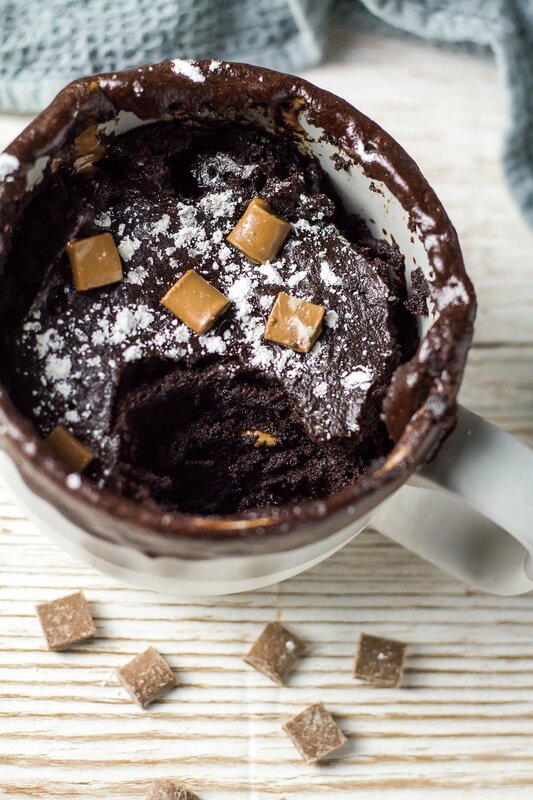 Try this mug cake with a scoop of ice cream – SO good! Looking for that perfect sweet treat to satisfy your cravings fast? 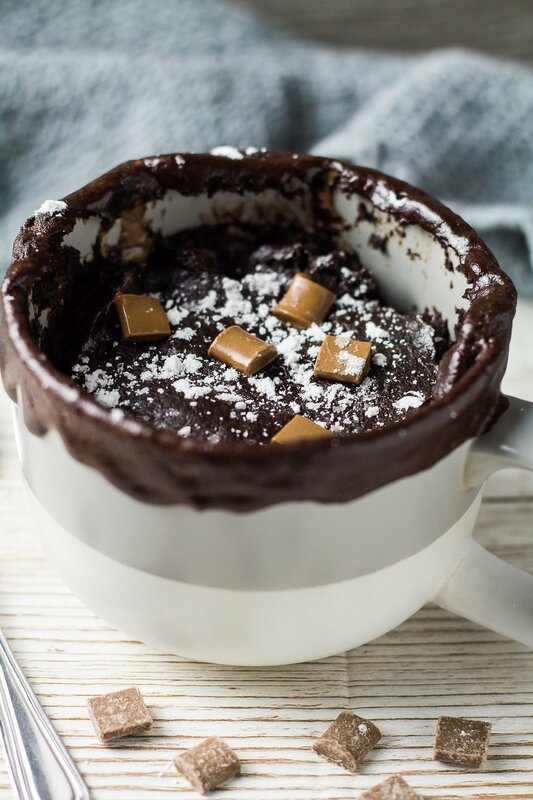 You neeeed to try this mug cake. 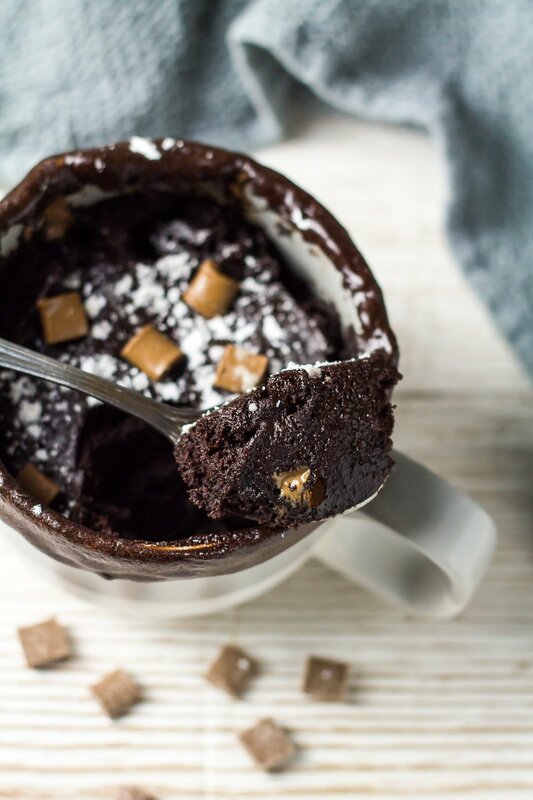 This is seriously the BEST chocolate mug cake I’ve ever had – it is SO good. Try these chocolate recipes next! In a large microwave-safe mug*, stir together the flour, sugar, cocoa powder, baking soda, salt, and cinnamon. Add the milk, butter, and vanilla, and stir until smooth and combined. Mix in the chocolate chips. Enjoy warm with a scoop of ice cream or your favourite toppings! *You want a big enough mug that the cake batter fills up just over half way. **All microwaves are different and can yield different results (like an overcooked mug cake). My microwave is 800W and I cooked mine on 100% power for 1 minute 40 seconds. Knowing this may help you better judge how long to cook yours for. For a more molten effect, cook for 15 - 20 seconds less. This is the perfect recipe when you just need a little treat! So yummy! Only you could make a mug cake look gorgeous!!!! Such a fun and easy treat! Ooh this looks absolutely amazing! Love the melty chocolate chunks!